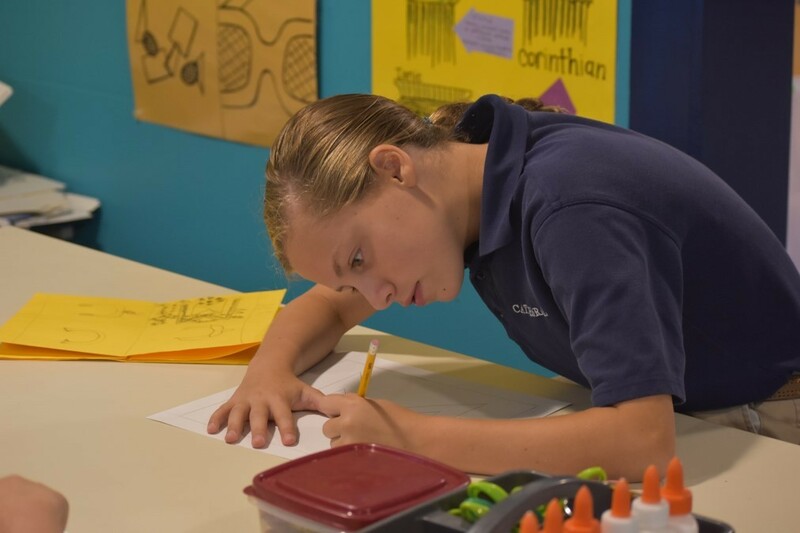 The School of the Cathedral Mary Our Queen’s art program is continually evolving; the art room is a studio space that foster’s student’s creativity. Ms. Drexler teaches grades K-8 and focuses on developing student’s problem-solving skills and their art history/media knowledge. Students create artwork in each of the following media: drawing, printmaking, ceramics, painting, collage, and fiber arts (weaving and stitching). At the end of the year, Fine Arts Day celebrates students' accomplishments with artwork on display from each student in the school. This is a great time to see the hard work and talent of our students! We are so grateful for our incredible theater program! Middle School students are able to participate in Broadway Musical Workshop, an after-school opportunity, as well as the spring musical. 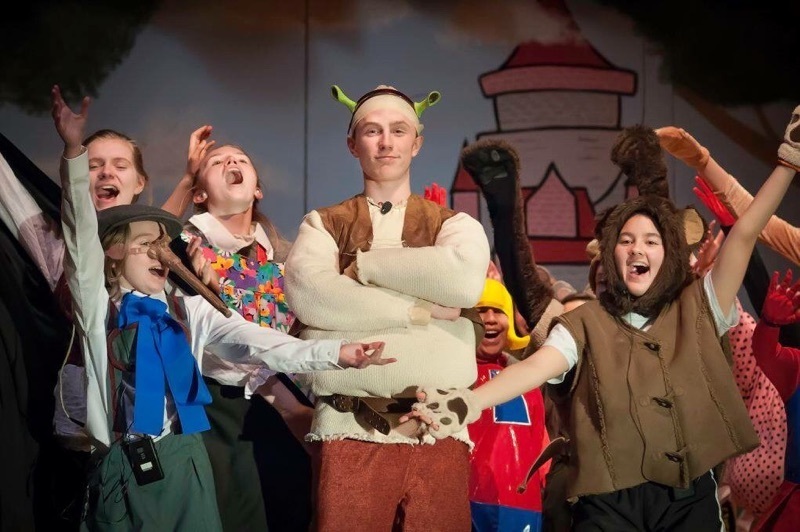 Past musicals include The Lion King and Shrek, Jr. We have also offered theater as an elective choice - an option for students in grades 5 through 8. Thanks to Mrs. Scaletta and her team for their hard work! Every student at SCMOQ takes general music with Mr. Mathis. In class, they learn music from different cultures, styles and time periods. 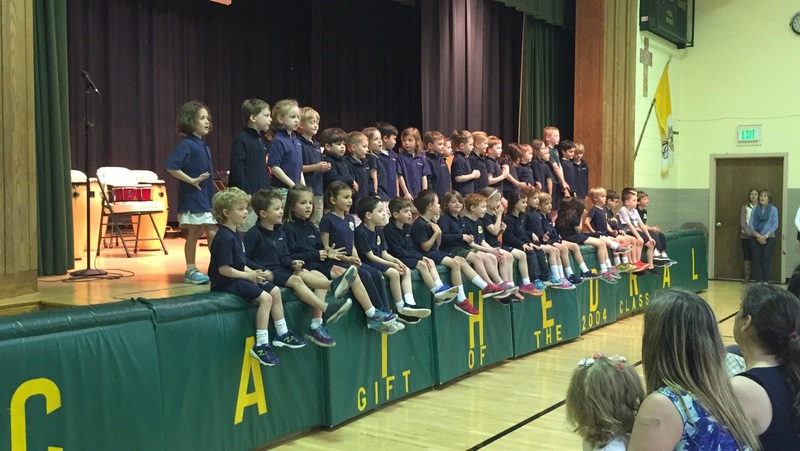 Students get experience singing, and playing a variety of percussion, string, and electronic instruments. The recorder is studied in third grade, which is an excellent way to prepare students for the instrumental music program. The history of music and its relationship to art history and social studies is explored. Band is also available as an elective class, for students in grades 5 through 8 to select.